SolGold hits more than 1,500m(AuEq. )m at Cascabel. TMAC with bonanza grades at Hope Bay. Lumina Gold drills the longest continuous interval of mineralization at Cangrejos to date. RSC Mining and Mineral Exploration has chosen gold as the metal equivalent for all conversions, as it considers it the most widely used and best-understood benchmark to determine or appreciate the grade tenor of a drilling intercept. 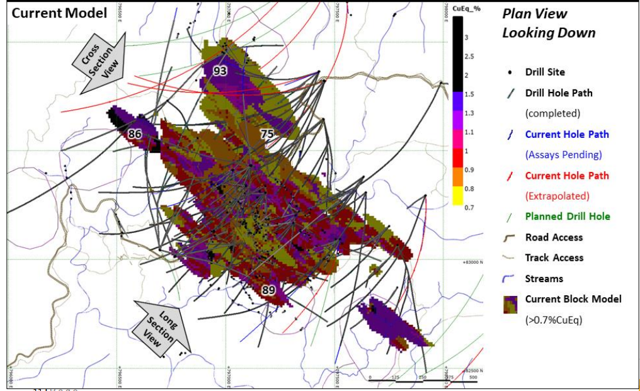 The best drill intercept last week was 1,918m @ 0.41% Cu and 0.19g/t Au from 320m in hole 75 at the Cascabel copper-gold project of SolGold (OTCPK:SLGGF). This is equal to 1,578m(AuEq.) and a total of 288 meters of the intersection lies outside the existing inferred resource area. This means that the Alpala North target remains open to the north. SolGold has so far completed almost 190,000 meters of diamond drilling on the project with 6,654m of recent drilling with assay results pending. 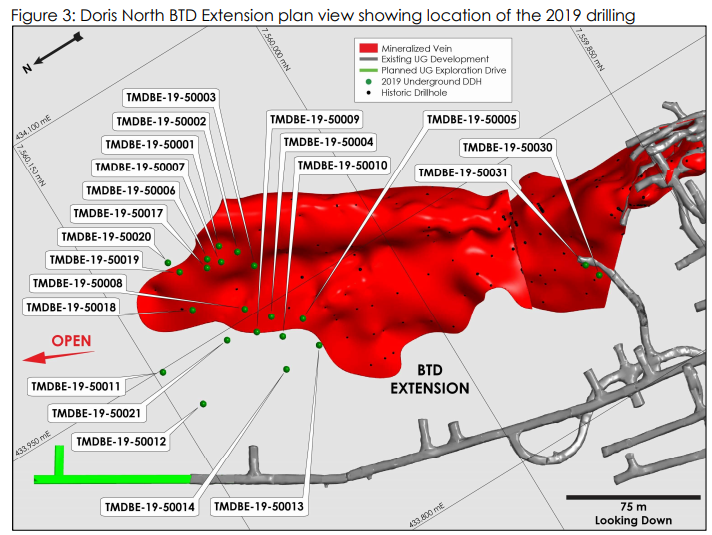 On April 7, TMAC Resources (OTC:TMMFF) released the initial results from its 2019 exploration program at its Hope Bay project and the best interception was 1.38m @ 682.88g/t Au from 48.29m in hole TMDBE19-50031. This is equal to 942m(AuEq.) and the hole was drilled at the BTD Extension zone of the Doris deposit. 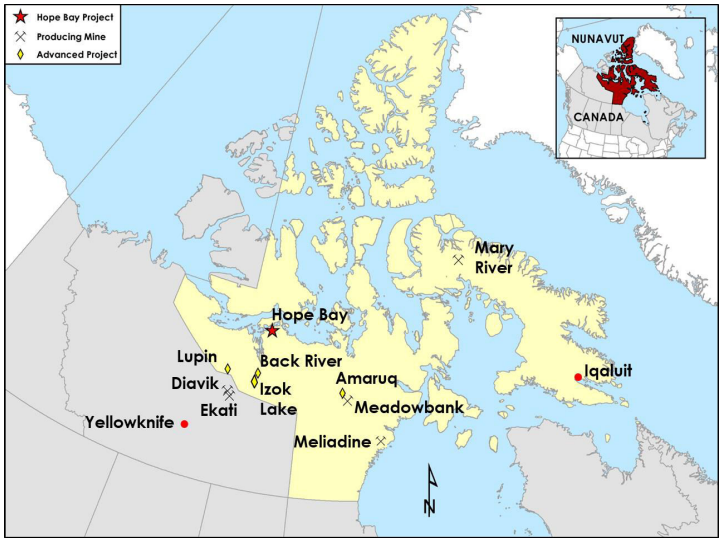 The drilling confirmed that this zone remains open to the north. The mine is currently ramping up and is expected to produce between 160,000 and 180,000 ounces at all-in sustaining costs of $900-$1,000 per ounce in 2019. I expect reserves and resources to grow fast as TMAC is focusing a lot of funds on exploration with C25 million budgeted in 2019. As of February, the company owed $117 million under a debt facility, but I think that the interest rate on that is pretty good for a mining company – it stands at 6.5% plus three-month LIBOR. 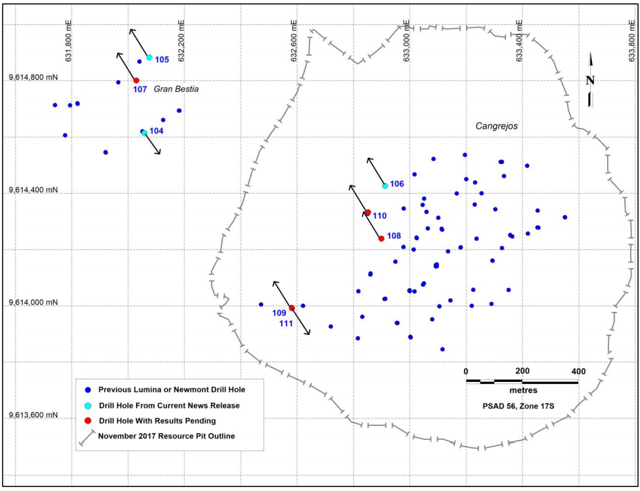 On April 11, Lumina Gold (LMGDF) announced that hole C19-105 at the Gran Bestia deposit of Cangrejos project intersected 626m @ 0.62g/t Au and 0.11% Cu from the surface. This is equal to 942m(AuEq.) and is the longest continuous interval of mineralization ever cut at the project. The hole ended in mineralization and leaves the Gran Bestia Deposit open to the north. The Gran Bestia deposit is located just one kilometer away from the Cangrejos deposit and there's been very limited drilling on it so far. I think it could become a satellite deposit which can be used as an initial starter pit. I’ve already covered Lumina Gold on SA here. The impressive drill results from Cascabel just keep coming and I think that the strategic investment by both BHP (BHP) and Newcrest (OTCPK:NCMGF) in SolGold highlights how major miners are stepping up efforts to partner with smaller sector players to restock production pipelines. 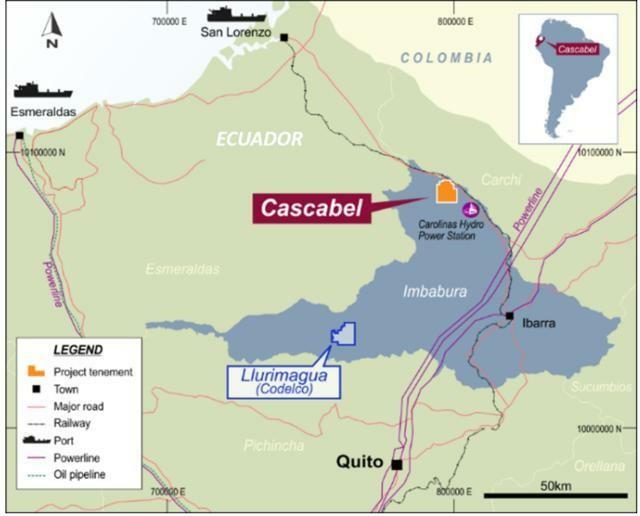 I think that Cascabel has an amazing potential and I wouldn't be surprised if SolGold becomes an acquisition target soon. TMAC is stepping up exploration efforts at Hope Bay and the results are very nice. Also, the company is ramping up production and repaying its debt. The project is located in a remote location, but the infrastructure is pretty good. 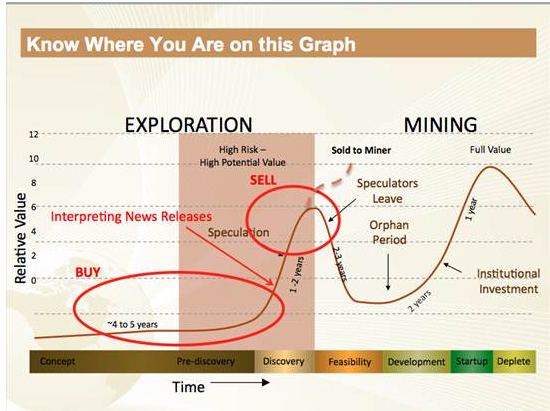 Still, I think that a market cap of over $300 million is too much at the moment and that there are better positioned gold producers at that price. 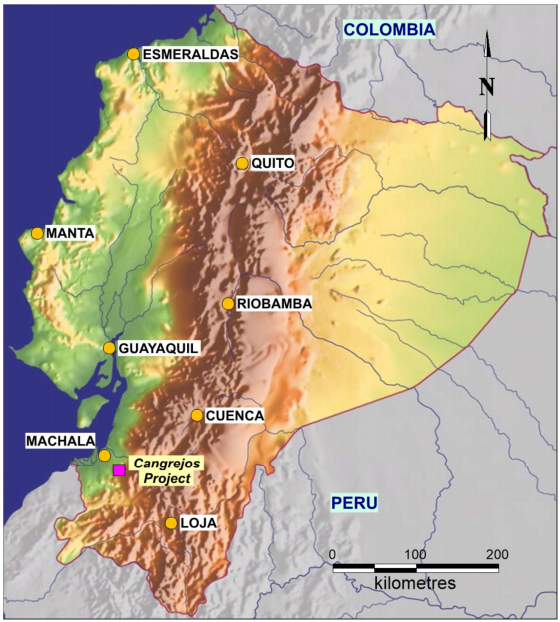 Lumina Gold's Cangrejos gold project is one of the top 15 undeveloped gold projects in the world. It has 8.5 million ounces of resources and it could be producing 400,000 or 500,000 ounces a year for 20 years. The all-in sustaining costs are also very low and the Gran Bestia deposit could boost the project's low IRR. It has been known for a while that the company is looking to monetize Cangrejos and I think that this project is worth a lot more than the current market cap of Lumina Gold.